Our youth pastor’s name is Jon Gilliland. Jon is 33 years old, enjoys playing video games, traveling, and spending time outdoors, and has a serious coffee addiction as well as a weakness for sushi, burritos, and cheesecake. He grew up in Attalla, trusted Christ at age nine, answered God’s call to full-time ministry at age 16, graduated from Etowah High School in 2002, and went on to complete a B.A. in Congregational Studies at Samford University in 2006 and a M.Div. at Beeson Divinity School in 2009. Jon met his wife, Amanda, while serving as a summer missionary through the Etowah Baptist Association. 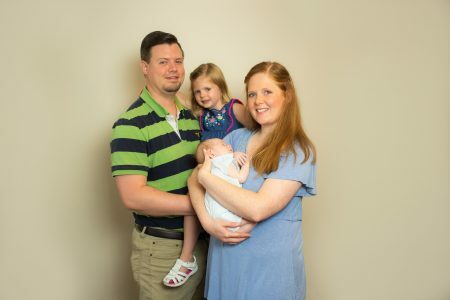 They’ve been married since April 23, 2011, and they’re blessed with a 2-year-old daughter named Eloise Claire (Ellie for short). Jon came on staff at FBC Glencoe as Associate Pastor of Youth & Education in January of 2016 after a four-year period of serving as Minister to Students at Antioch East Baptist Church in Greenville, AL. You can contact him via calls or texts to (334) 662-9198 or emails to [email protected] You’re also welcome to friend @gillilandjon on Facebook and to follow @jongilliland on Twitter, Instagram, and Snapchat.